Our Top 3 Flower campsites, and the Top 20 listed below, are updated on a daily basis via our SecureHoliday booking system (for further details see our webpage about quality). To get onto these lists, campsites must receive at least 40 reviews (in any language). Creating our own Top 20 allows us to showcase the Flower campsites that get the highest ratings based on an objective assessment taking into account your reviews, and helps us to keep improving quality throughout the Flower network. 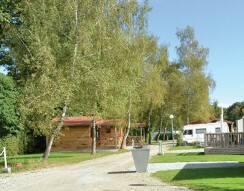 A campsite with a difference set on the banks of a river amid the wild and beautiful landscape of southern Auvergne. 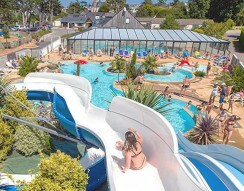 A wonderful holiday destination on Brittany’s Pink Granite Coast overlooking Trestel with views of the Sept Iles. 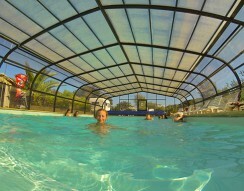 Whether its walking in the Ségala or swimming and fishing in the lake, a holiday in the Aveyron means fun for all the family. 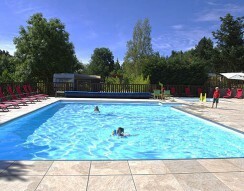 This beautifully landscaped garden campsite with its amazing variety of trees and shrubs, swimming pool and friendly staff makes a great starting point for exploring the Périgord Noir. The magnificent beach at Saint-Lunaire – a charming Belle-Epoque village in Saint-Malo Bay. Enjoy the clean, fresh air of the Lac de la Seigneurie in the foothills of the Vosges, ideal for rest and relaxation or an activity holiday in the great outdoors. Full of local charm, the port of Doëlan and the beach at Le Pouldu make a great introduction to Brittany’s stunning Atlantic coast.